Not so with the new OBH Nordica 2666 Radio Toaster. The newest thing to get stuck on a toaster is an AM/FM radio. 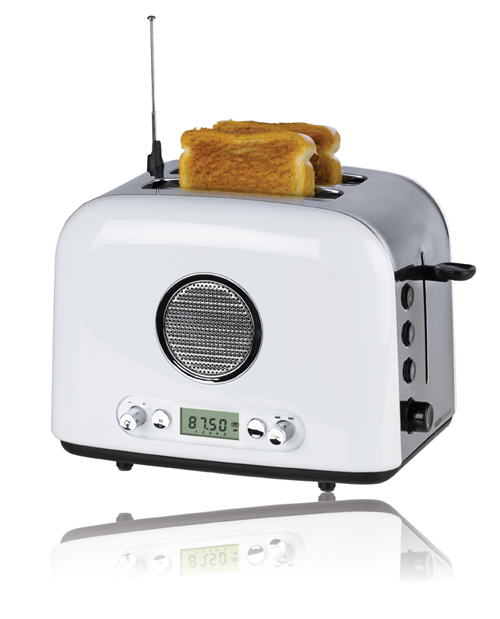 Complete with speaker, station presets and a fixed antenna, the toaster-radio combination serves up tunes alongside the morning toast. Although it doesn’t come with an iWhatever dock, just be glad the old-timey mash-up doesn’t include a cassette player—butter generally makes for a better spread than melted plastic.